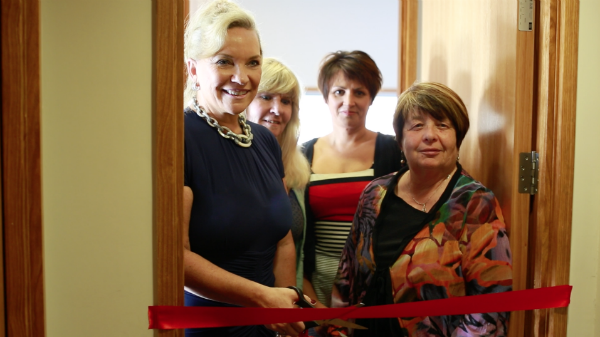 Propellor Property Investments were unveiled as the newest room sponsor of Ronald McDonald House South Island at an official room naming ceremony on Thursday, the 3rd of April. The room sponsorship allows Ronald McDonald House to support families in need, helps to cover the ongoing costs associated with maintenance and operation of the House and plan for the coming years, ensuring that families are provided with a warm and welcoming ‘home away from home’ now and in the future. Alongside heavy investments in both the local and greater worldwide community, this new sponsorship enhances Propellor's reputation as one of, if not the most well-respected property investment company in New Zealand. Each year Propellor take clients away to build houses for the needy around the world with Habitat for Humanity, which has seen them undertake charitable work in Nepal, and most recently in the Thai Binh province of Vietnam. Propellor’s social responsibility doesn't end there; they also provide financial support for the Christchurch rebuild initiatives and hope that this along with their new relationship with Ronald McDonald House will make a positive difference in people's lives.